I like to keep my readers (how pretentious does that sound?!) on their toes so I thought I'd write about a movie that changed my life and isn't a horror movie. Auntie Mame. Everything about this movie continues to charm me years after first watching it. The idea that life has so much to offer and everyone should explore every possible option is, and pardon my soft side here, completely inspiring. The character of Auntie Mame, with her fearless enthusiasm for exploring and tackling new adventures, gave me a place to set the bar for myself. I consider myself lucky to have grow up in a household where trying new things, exploring new cultures and places, and continually learning new things was highly encouraged. My life was anything but boring growing up and I remember watching Auntie Mame thinking how terribly boring "normal life" seemed and how my biggest fear was growing up and into such a mundane existence. I feel drawn to the life Auntie Mame creates for her nephew and I feel drawn to her; her world is the summary of what I loved most about my childhood and she is the embodiment of the person I want to be. Eccentric. Fun. Kind. Witty. Self-sufficient. Self-assured. Passionate. Determined. Strong. Adventurous. What's more, this movie is funny. And while I constantly maintain that I have no sense of humor, this style of late 50's / early 60's comedy always makes me smile. 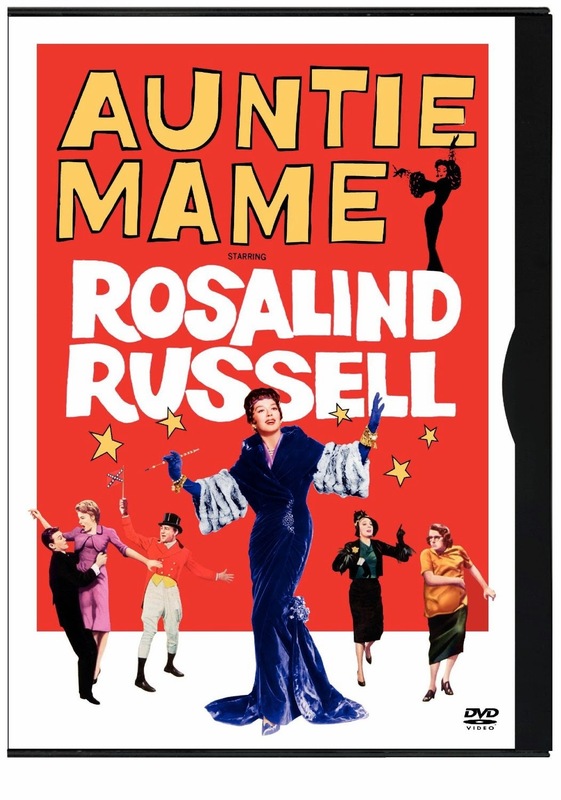 I can't help myself; Rosalind Russell's comic timing is perfect. Her ability to banter is stellar and unlike noir films, where the leading lady is restricted to witty exchanges with the leading man, Rosalind fires retorts back at each and every character she encounters. I adore her interactions with the painfully Southern Sally Cato (Brook Byron). Sally: "...I'm just gonna hold my breath until dawn tomorrow." Mame : "You do that, honey." So now that I've written way more about myself then I ever imagined admitting to the world at large, I think it's wrap up time. There are a handful of movies in this world that I actually feel shaped me as a person, Auntie Mame is definitely one of those. If you haven't seen it, you're feeling like a healthy laugh, and you have a couple hours to kill - it's on Netflix. Enjoy.